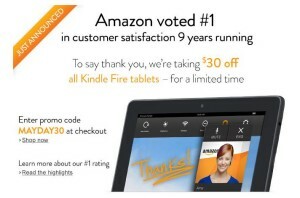 For a limited time, Amazon is offering $30 off all Kindle Fire models with coupon code MAYDAY30 at checkout. Limit of one discount per customer. Offer expires January 11, 11:59 PM PST.